Made with two different animal prints, no more need to choose between feline and equine. 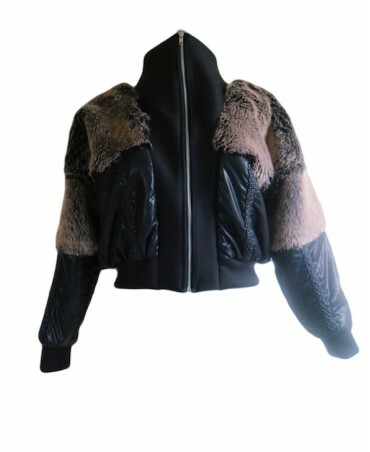 The Paola bomber combines both to create a high fashion jacket. 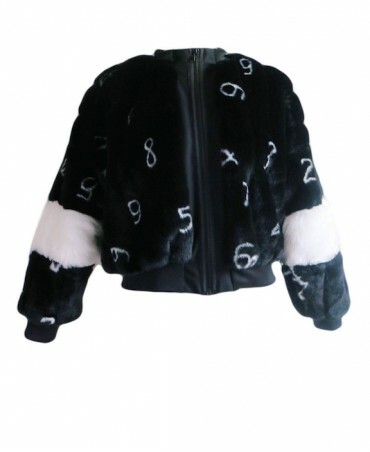 An exceptional piece, unique throughout the world, you will be the only person to own this super trendy bomber jacket! 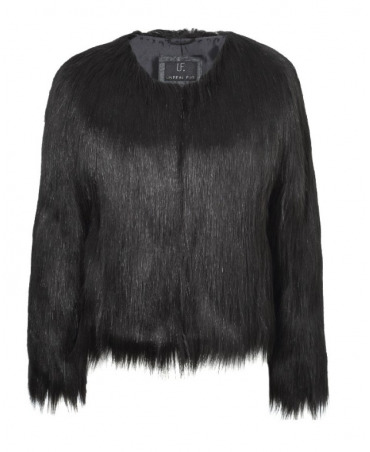 Made from high quality faux fur, this bomber will bring you warmth and style. 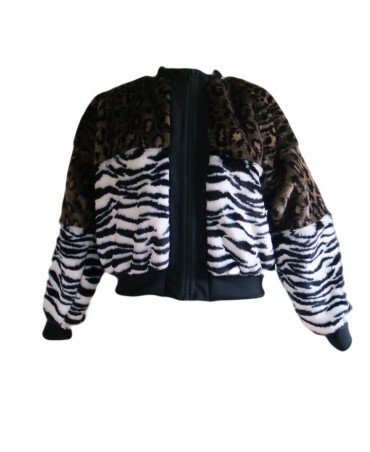 The combination of different fabrics make this jacket one of a kind. 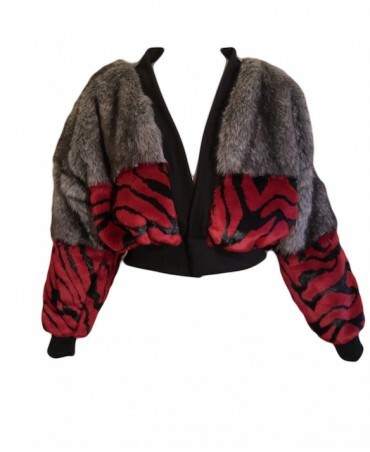 Fur and sateen styled material, with wrinkled fabric strips, are all assembled to create this high neck bomber. An exceptional piece, unique throughout the world, you will be the only person to own this super trendy bomber jacket! 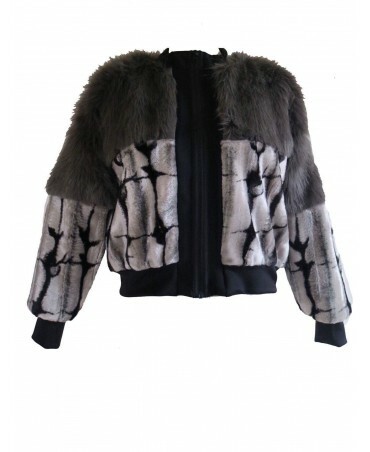 Made from high quality faux fur, this bomber comes with warmth and style. Made from different materials, the Anastasia bomber is an elegant taupe fur and a khaki padded polyester jacket. It stands out thanks to its green fur sections on the elbow. 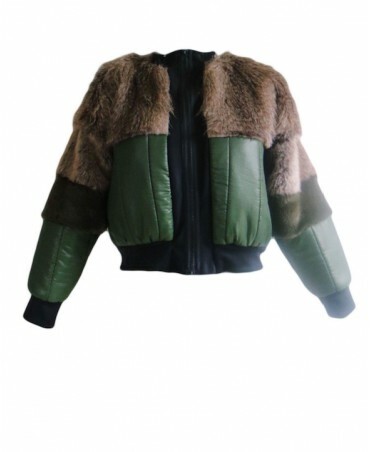 An exceptional piece, unique throughout the world, you will be the only person to own this super trendy bomber jacket! 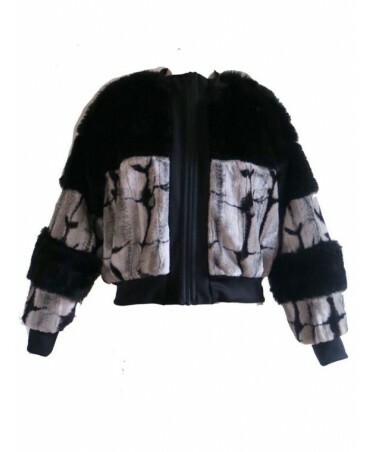 Made from high quality faux fur, this bomber comes with warmth and style. Trendy and super soft, the Unreal Dream jacket brings style and warmth. 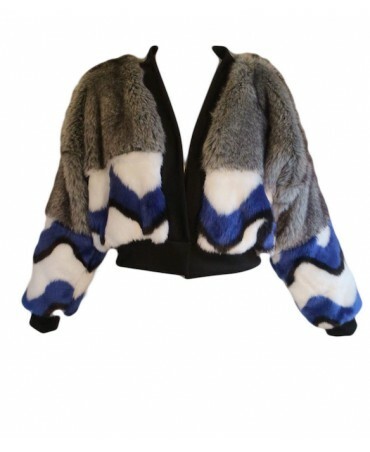 Made entirely of mid-length faux fur it is the missing piece for your closet! 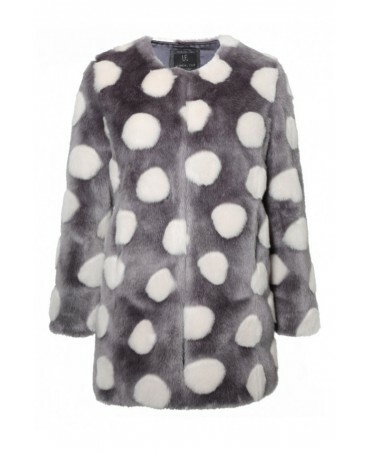 With an ivory spot design on a short-haired, high quality faux fur, the Bubble coat is the perfect garment to go with every outfit. With a long dress or cut off jeans, this coat adds that extra something for any and all events. 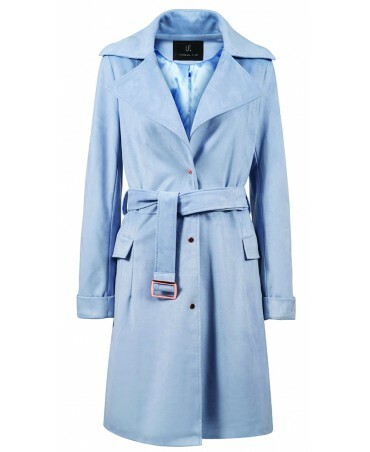 Made from a magnificent vegan suede, this trench coat is especially soft and fluid. This must-have for your wardrobe adds a touch of spring time freshness to your outfits. 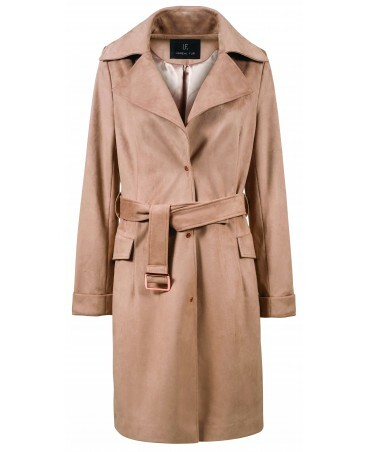 Made from a magnificent vegan suede, this trench coat is especially soft and fluid. This must-have for your wardrobe adds a touch of autumn freshness to your outfits. 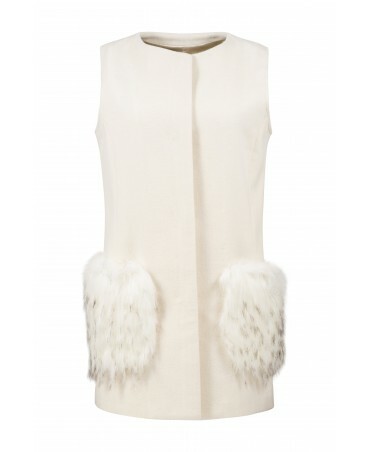 Chic and original, the Cloud sleeveless coat with faux fur pockets adds a touch of elegance to your outfit. The splendid ivory colour is perfect for sunny days or evening dress. With her comfortable fit, this quilted short jacket is perfect to show off your style at all time. Standing neck, zip closure with a personalised puller and two invisible body pockets. Handy and compact, you can bring she with you in her bag.